The PA-BT30 can be incorporated into a variety of settings. Presenters can use the speaker to stream songs from Pandora®, Spotify®, or Twitter Music for classes. Educators can even use the speaker to stream podcasts from iTunes U® or enhance audio from an iPad® or other connected device from a Skype® chat, Google®+ Hangout, Facetime® or a virtual field trip. 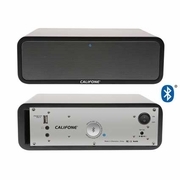 The PA-BT30 portable speaker is compatible with a variety of smartphones and tablets including Android® and iOS-based devices such as the Galaxy®, iPhone® and iPad®. The 30-watt speaker delivers room-filling (up to 300 people) wireless sound, and is a practical alternative to complex audio amplification solutions in schools, churches, meeting rooms and other presentation settings. 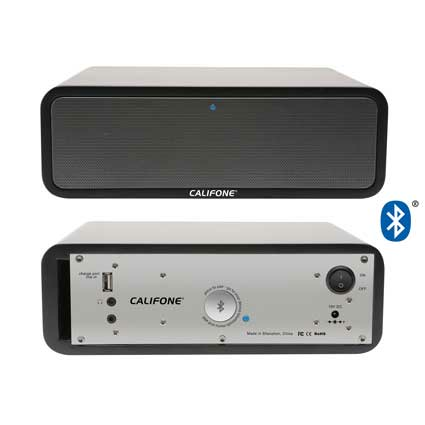 The PA-BT30 is designed for fast and easy setup, offering convenient connect-and-play audio streaming capabilities and can effortlessly fill a 50x50' class or meeting room. Since the speaker enables interactive group and whole class learning, educators have a variety of options when incorporating the technology into classroom activities. The speaker includes a USB charge port and auxiliary line input to allow for expanded device compatibility. Compatible With: Bluetooth enabled smartphones and tablets from the following manufacturers (but not limited to): Acer®, Alcatel®, Apple®, Asus®, AT&T®, Blackberry®, Dell®, Garmin-Asus®, Google®, HTC®, HP®, Kyocera®, Lenovo®, LG®, Motorola®, Nokia®, O2®, Orange®, Palm®, Pantech®, Philips®, Samsung®, Sony®, Sony Ericsson®, T-Mobile®, Toshiba®, Vertu®, Vodafone®.